WASHINGTON (Reuters) - Canada has arrested Huawei's global chief financial officer in Vancouver, where she is facing extradition to the United States, Canada's Department of Justice said on Wednesday. Meng Wanzhou, who is one of the vice chairs on the Chinese technology company's board and the daughter of company founder Ren Zhengfei, was arrested on Dec. 1 and a court hearing has been set for Friday, a Canadian Justice Department spokesman said. 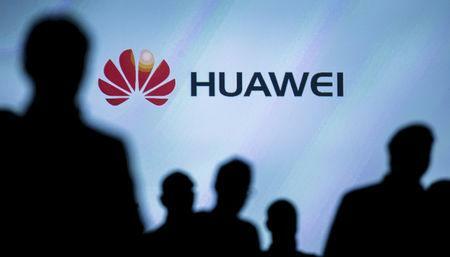 A representative of Huawei, one of the world's largest makers of telecommunications network equipment, declined immediate comment. The U.S. Justice Department probe is being run out of the U.S. attorney's office in Brooklyn, the sources said. Officials for the U.S. Justice Department did not immediately respond to a request for comment. A spokesman for the U.S. attorney's office in Brooklyn also declined to comment. The news comes the same day Britain's BT Group <BT.L> said it was removing Huawei's equipment from the core of its existing 3G and 4G mobile operations and would not use the Chinese company in central parts of the next network.